Thomas Beck Agency, Inc. specializes in customized insurance coverage that meets the unique and personal needs of individuals, families and businesses in Oregon and Washington. 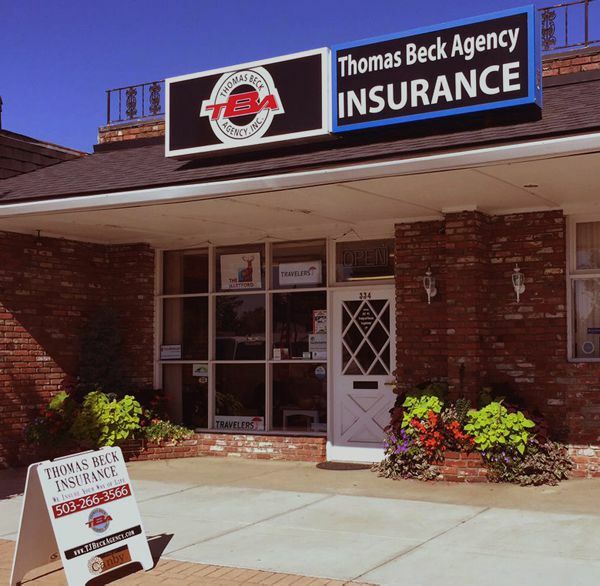 At Thomas Beck Agency Inc., we offer a full range of property and casualty insurance including Home, Auto, Farm, Ranch and more! Thomas Beck Agency, Inc. recognizes the challenges and risks of running your own business. That’s why we offer a variety of services tailored to your operation. By staying on top of regulations for the State of Oregon, we can help you navigate the options to find a health or life insurance plan that meets your needs. We understand that every client is different and has a unique set of insurance needs. That’s why as an independent agency we represent multiple companies and offer a variety of local, personalized insurance solutions including Home, Auto, Commercial, Business, Farm and Ranch, Life, Health and Medicare. Most important, our company is built on strong personal relationships and responsive customer service. Our clients are secure in the knowledge that we look out for their best interests and that we provide immediate and proactive assistance when they need it the most. These guys seriously rock! They were able to write all my insurance needs: business, home, auto, life, and health.... And save me on ALL of them. Having all my business with one agency has really saved me money. And to boot, they have been true advocates every time I had a claim. Thomas Beck Agency is a wonderful company to help you with all your insurance needs. They take the time to make sure they are getting the best product for your needs by asking the right questions. Their customer service is outstanding! I highly recommend using Thomas Beck as your agent. © 2016 Thomas Beck Agency, Inc. All rights reserved.